We’re happy to be partnering with StarVista Entertainment/Time Life to offer a giveaway opportunity for the beloved classic The Wonder Years – Season Two DVD. Three lucky readers will win the newly released four-disc complete second season DVD. The Wonder Years – Season Two is currently available, visit Amazon to order. 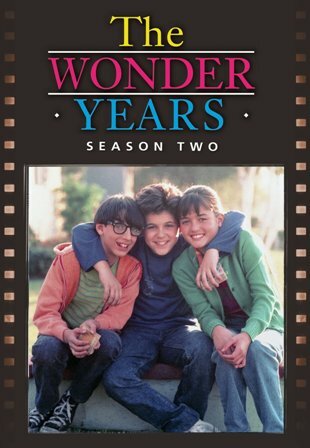 Three will win The Wonder Years – Season Two on DVD. Enter using the Rafflecopter form below (U.S. entrants only, no P.O. boxes) by February 18, 2015. The four-disc set includes all 17 episodes from the acclaimed second season (1988-89), and features original classic songs by Bob Dylan, Carole King, Aretha Franklin, The Temptations, Cream, Bing Crosby, Joni Mitchell, Simon & Garfunkel, Traffic, Diana Ross and the Supremes, James Taylor, Nat King Cole, The Miracles, Judy Collins, Donovan and many others. DVD special features include: “School Days: Roundtable with Danica McKellar, Fred Savage and Josh Saviano,” Featurette: “The Times They Are A-Changin’: The Era,” interviews with: Dan Lauria (Jack Arnold), Alley Mills (Norma Arnold), Daniel Stern (Narrator). Three lucky winners will be drawn at random and notified via email. The winners will each have 48 hours to respond to our notification with their complete name and U.S. mailing address (no PO Boxes). Failure to respond within 48 hours will result in forfeiture and another winner will be selected. For complete giveaway rules click here: Giveaway Rules and Restrictions. Check out Online-Sweepstakes for more great giveaways. My favorite show is PBS Masterpiece. I love Justified because there’s just the right amount of action and wit in each episode. I have watched a few episodes of The Wonder Years. I watched the wonder years with my parents when I was younger. Glee is my favourite show and I can’t believe it’s ending soon! It introduced me to so many different musical styles and had such interesting stories. Castle…. i love the characters and the stories. The Vampire Diaries, I don’t know how but it sucked me in! Lol The story line is awesome and always something entertaining going on. I have so many favorites, The Vampire Diaries, The Originals, The 100, The Fosters, Pretty Little Liars, Eye Candy, I just love the story lines on those shows and they always keep me watching, I am addicted. My mom is a huge fan of the Wonder Years. I’ve only seen small bits and pieces though.